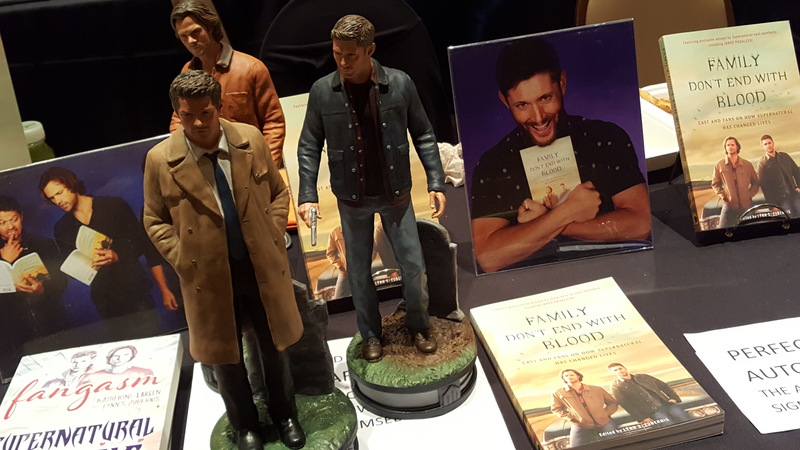 Family Don’t End With Blood Book Release Party – SPNFamily Style! 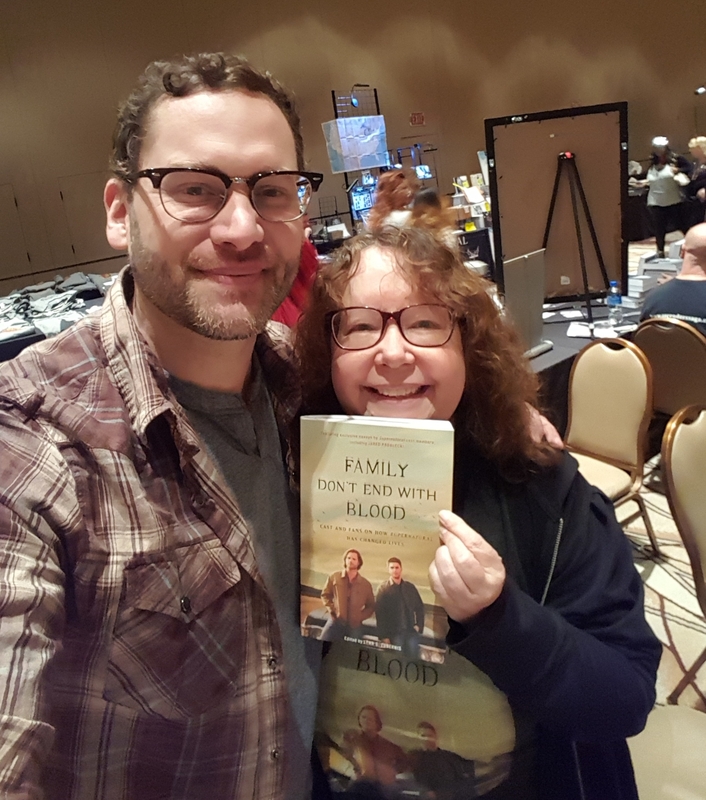 When my agent suggested that I have a party to celebrate the release of Family Don’t End With Blood: Cast and Fans on How Supernatural Has Changed Lives, I was skeptical. Who does that? Not unknowns like me, that’s for sure. Who would come? Would I just be standing in a Barnes & Noble tossing confetti up in the air in an empty room? But the more I thought about it, the more I wanted to celebrate this book that was two years in the making. This book is not mine – it belongs to all 25 contributors who wrote from the heart and poured their genuine emotions into their chapters, both fans and Supernatural cast. For most of them, it wasn’t an easy task. They are students and business women and moms and IT consultants. 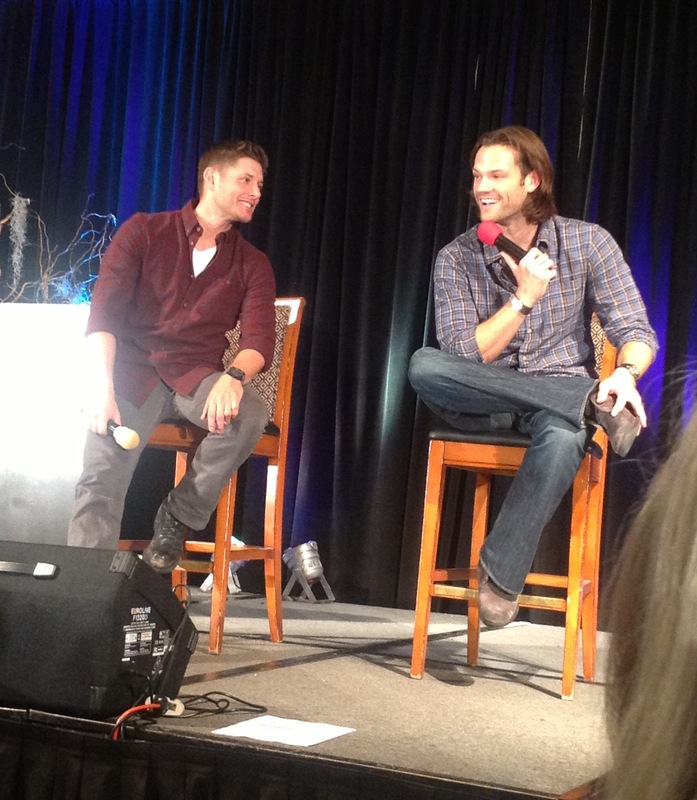 They are talented actors. But they are not, for the most part, writers. Or at least they weren’t before they said yes to contributing to this book! I know the process was heartwrenching and intimidating for many of them. They are all people who care a great deal about this show and this fandom, and they didn’t want to let anyone down. Although they didn’t have much confidence about their writing ability, they felt it was important to share their stories – and so they persevered. Through self doubt and starting over and edits and a lot of hard work, they kept going. The result is no less than amazing to me. Every single contributor wrote something that speaks to others – that inspires others. The courage they showed in telling their real truth, in print, for the rest of the world to read, blew me away. So I decided the wise and wonderful Amy Tipton was right; we would have a book release party. Now to figure out when and where and how. Which turned out to be a story in itself, so I thought I’d share the before, during and after of our rather unique celebration of #SPNFamily. I had the pleasure of chatting with Supernatural’s angel Anna, Julie McNiven, last week about her new project (Internity) which turns out to be entirely relevant – to both Supernatural and fandom! Although we’ve seen Julie at several conventions, we’d never had a chance to interview her – plus, Julie is one of the kickass women of Supernatural on board for the SPN Ladies Con (@LadiesOfSPN), so it was an extra special treat to talk with her. 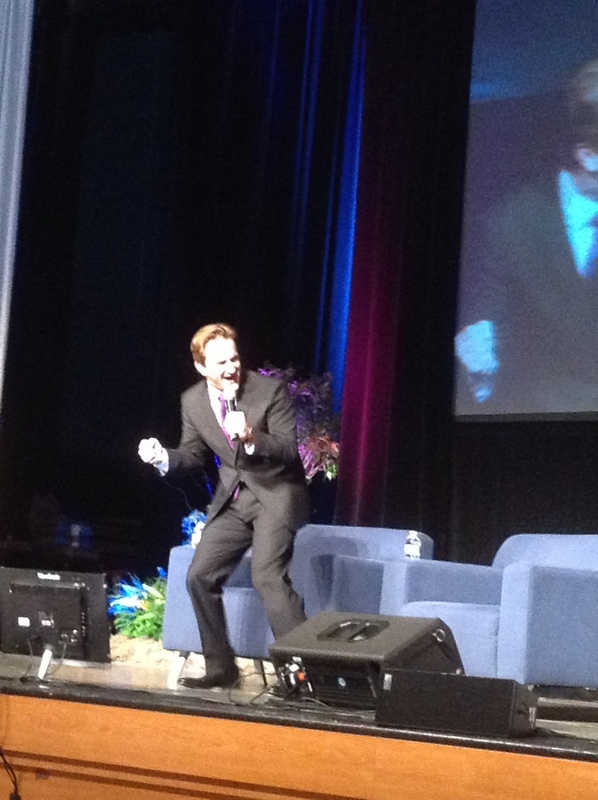 Our weekend at the Chicago Con brought a surreal feeling of coming full circle – in a wonderful way. Chicon was our very first Creation Supernatural con, way back in 2007 (SPN wasn’t even popular enough to warrant its own convention then, so we shared it with a few Buffy and Angel alums). 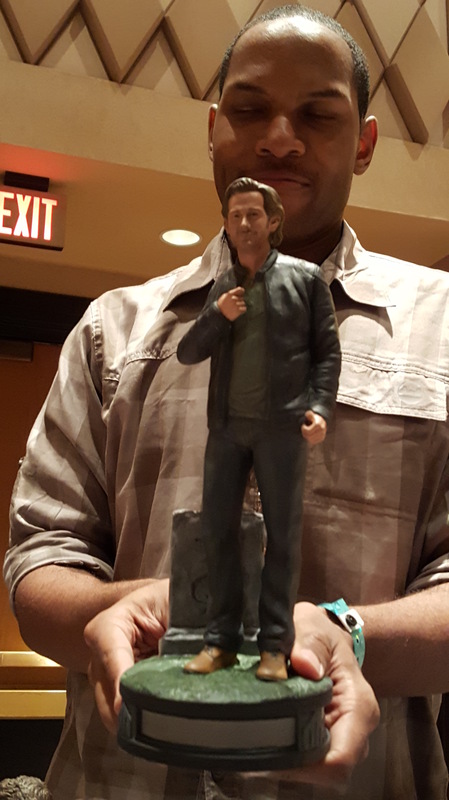 We did the first interviews for our book here, and met one of our favorite people, Richard Speight, here. 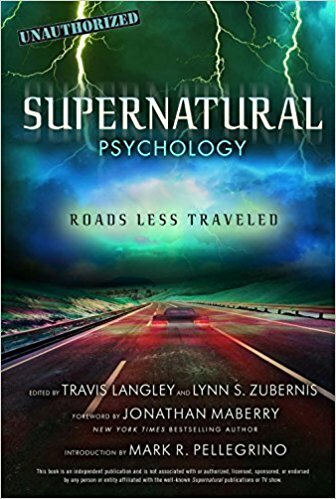 Back then, we didn’t know if our little book on Supernatural and its amazing fans would ever come to fruition, and we had no idea the circuitous route it would take to finally get published. 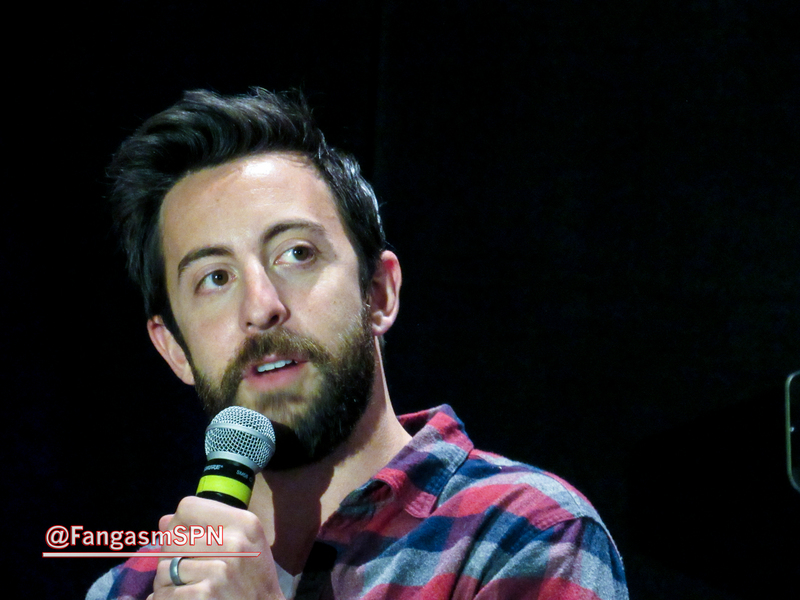 It seems fitting that Fangasm: Supernatural Fangirls was published this month, and here we are back in Chicago once again. 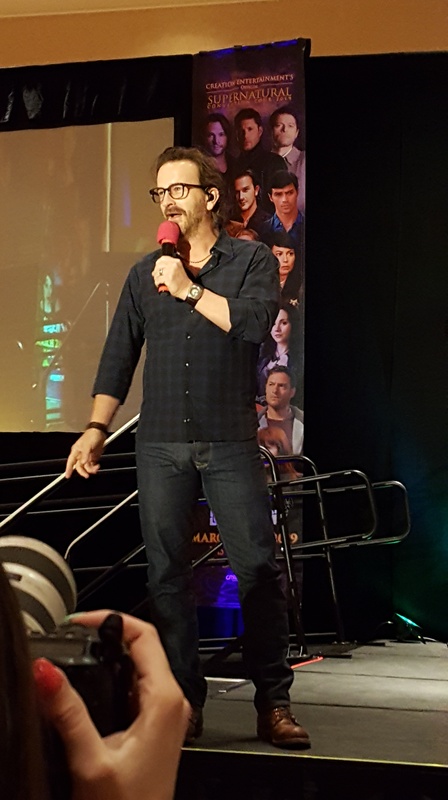 It seems even more fitting that Richard is here too, along with two of the photographers who contributed their beautiful photos to the book, Chris Schmelke and Lizz Sisson, and of course quite a few of the actors whose interviews are some of the best parts of Fangasm – Jared, Jensen, Misha, Matt, Richard and Samantha. What we could never have anticipated is that everyone connected with our favorite Show would be so supportive, let alone that they’d all actually read it!